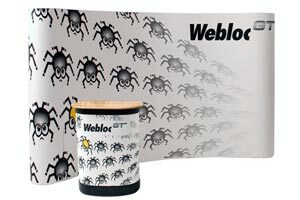 Webloc GT has all of the original features of Webloc with the addition of magnetic clip on panels, no visible header strips and completely replaceable parts. 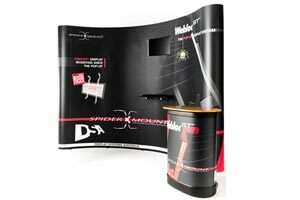 SpiderMount technology can take pop-up exhibiting to a new level! 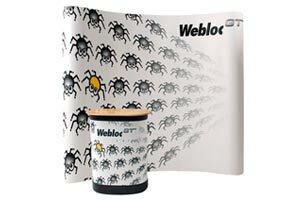 The SpiderMount adds LCD HDTV technology to existing Webloc GT pop-ups. 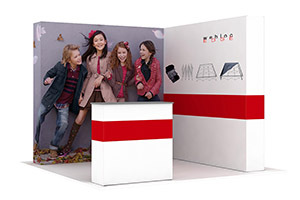 Webloc GT Mini is a shopping centre pop-up display with impact! 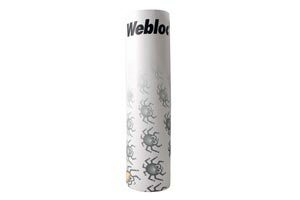 The Webloc GT Tower is the ideal display solution for when space is limited.